Cornstarch and sugar added to thicken cream sauce. Half-and-half cream is used. Mix the sugar and cornstarch together. 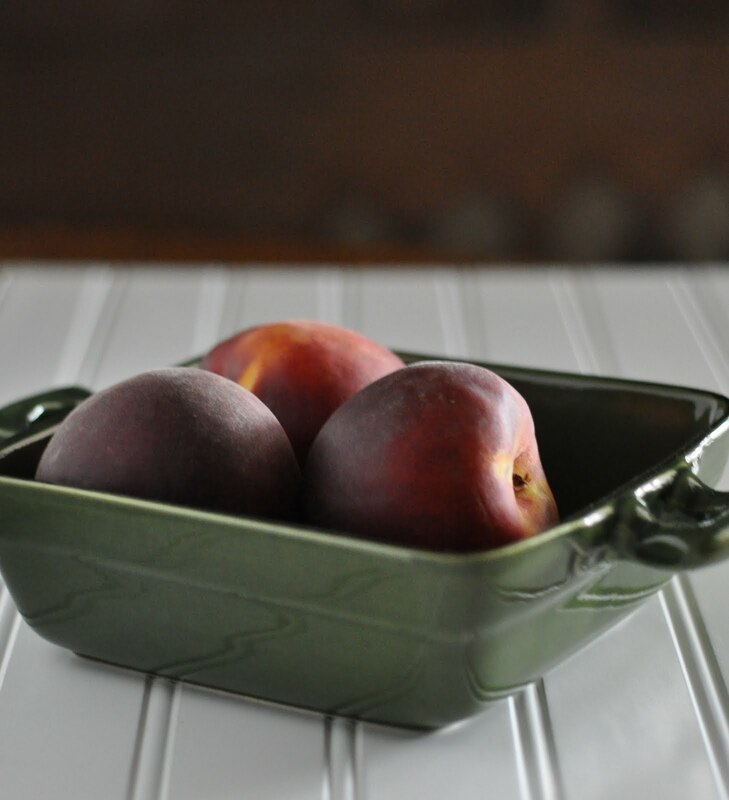 Fresh juicy peaches from Georgia! You will need three! Finished dish with sauce just on bottom of peaches. 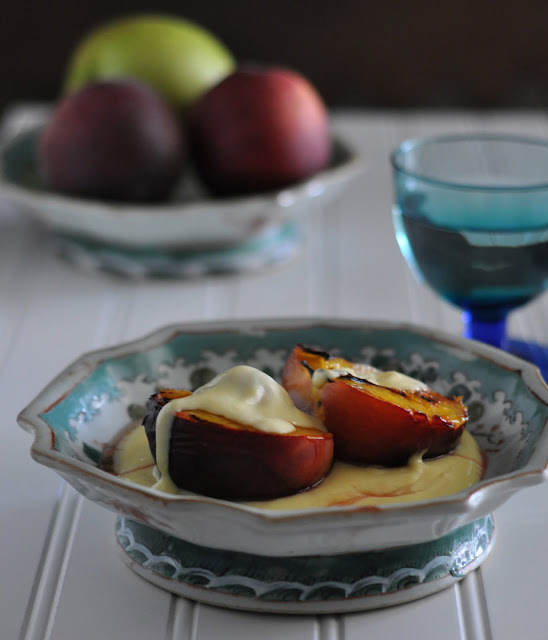 Creme Anglaise is poured over top of fresh peaches. 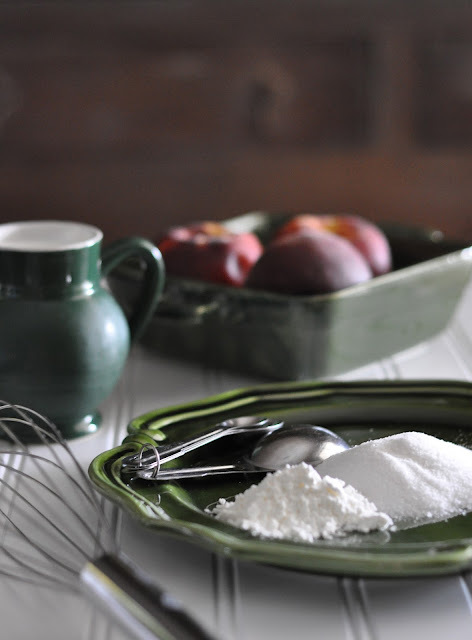 Whisk together 2 cups of half-and-half, 1/3 C. of sugar, 1 Tbsp. of vanilla, 3 egg yolks, 1/8 tsp. of salt and 1Tbsp. of cornstarch in your saucepan. Cook over medium heat. Keep stirring and bring to boil. Whisk for one minute. Remove from heat. Serve sauce on peaches warm or cold. 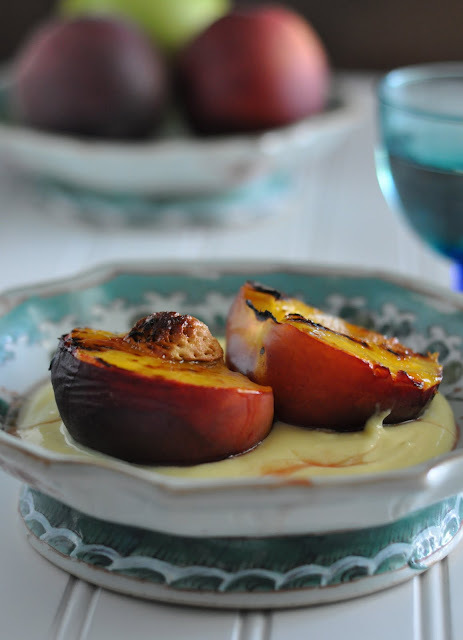 I broiled the peaches after brushing 1 tsp. of melted butter to each half and sprinkled each with 1/2 Tbsp. of sugar. Broil until they start to get brown on edges, about 5 minutes. I served this dessert directly from the broiler then added the sauce. Delicious warm!